The new West End cast of Harry Potter and the Cursed Child have been transformed into their characters in a newly released set of portraits by Charlie Gray. 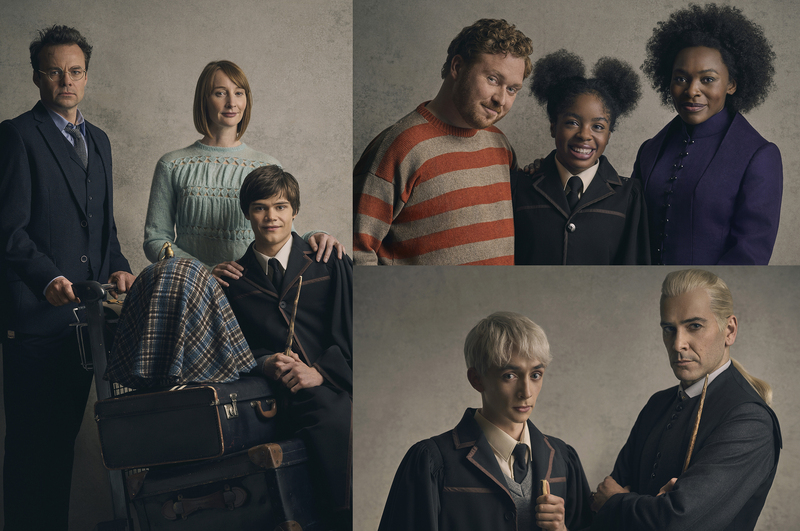 Seen in their wizarding world finest for the first time are Jamie Glover as Harry Potter, Emma Lowndes as Ginny Potter and Theo Ancient as their youngest son Albus; Thomas Aldridge as Ron Weasley, Rakie Ayola as Hermione Granger and Helen Aluko as their daughter Rose Granger-Weasley; and James Howard as Draco Malfoy and Samuel Blenkin as his son Scorpius Malfoy. The new cast’s first performance at London’s Palace Theatre is on Wednesday 24th May. Harry Potter and the Cursed Child last month took home a record-breaking nine awards including Best New Play and Best Director.